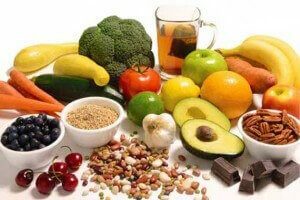 If your New Years resolution involves getting fit, losing weight or eating healthily, my list of ‘super-foods’ may just be the secret you have been looking for. 1.The Berry Family : Strawberries, raspberries & blueberries are packed with an incredible amount of nutritional goodness. These little guys are rich in antioxidants, phyto-nutrients, fibre & water. Not only do they strengthen our immune system, but may also guard against neurological disorders (Alzheimers), degenerative eye diseases & urinary tract infections. 2. Chili: is an ancient antioxidant, rich in Vitamin A, B, C and E. In addition to the fact that is has seven times more Vitamin C than oranges, chilli is also an excellent slimming agent. This Ayurvedic medicine is used to ward of diseases, stimulate the digestive system & lower cholesterol. 3. Green Tea: This strong antioxidant is a great metabolism booster that speed’s up fat loss, prevents cancer, stabilizes blood sugar levels & increases circulation. 4. Salmon: Known as the Super-fish, the salmon is heavy in Omega 3 fatty acids, protein, calcium, Vitamin D & B. Omega 3 fatty acids are vital in preventing cardiovascular disease. 5. Wheat grass, Barley grass & other green foods: These green machines contain carbohydrates, proteins, chlorophyll, lipids, vitamins & minerals, which are easily assimilated in the body. Barley grass has potassium, magnesium, copper, phosphorous, zinc, beta-carotene & vitamins B1, 2 and 6. This provides 11 times more calcium than cow’s milk, 5 times more iron than spinach & 7 times more vitamin C than oranges. 6. Yoghurt (DAHI): This calcium rich dairy product is also packed with proteins & potassium. Yoghurt contains probiotics that help maintain the natural bacterial balance in the digestive track & lessen the severity of the skin condition “excema”. 7. Nuts: These are one of the best sources of heart-healthy fats, proteins, omega 3 and 6 oils, fibre, vitamins & minerals like vitamin E, copper, magnesium, folic acid & potassium. They generally get a bad reputation because of their high fat content, but their ability to lower cholesterol, promote weight loss & fight cancer have earned them a place in my Top 10 list. 8. Cinnamon: Believe it or not, this spice is considered as one of the healthiest foods in the world. Although not counted when on top of a sticky bun, cinnamon has been known to lower cholesterol & help control blood sugar. 9. Oats: This comfort food does more than just warm the tummy. These whole grain goodies, which come in many forms from cereals to energy bars, help lower your cholesterol & increase your fibre intake. 10. The Allium Family: which consists of garlic, onions, leeks & chives are responsible for the production of the liver’s most powerful antioxidant “Glutathione”. This antioxidant helps eliminate toxins and carcinogens from the body, which helps protect against cancer, reduce cholesterol & lower blood pressure.